Is your house being eaten by small annoying creatures? 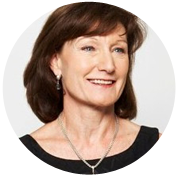 Are you scared to go to the basement or even to open a cupboard? They are small, repulsive, and extremely annoying. However, having pests in your home is a more serious problem than it seems. 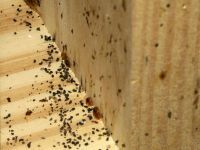 They aren’t only annoying: pests pose a serious threat to your health by spreading diseases or causing dangerous contaminations, and they cause damage to your property. It’s a problem that should be treated as soon as possible and with special care due to its inclination to spread very fast. Any living organism that can be harmful to humans or their homes can be considered a pest. 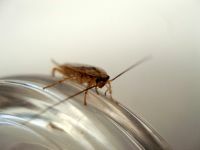 Here is a guide to the most common pests you can encounter in your home, including tips on how to get rid of them and where to find help in Toronto. These small parasitic insects have struck Toronto homes after several years of absence. Getting rid of bed bugs is a complex task that should be done with the help of a professional exterminator. The first and the most important thing is to identify the sign of bed bugs. Adult bed bugs are flat, oval, usually between 4 and 5 mm long, and light brown to reddish in colour. They occur in all kinds of environments occupied by human beings and can be recognized by blood stains, droppings, and eggs left on mattress seams and tufts, sheets, pillows, upholstered furniture, crevices, and cracks in furniture or baseboards of walls. Bed bugs can be carried by humans as we travel; they can hide in furniture, luggage, or even our clothing. Once they infiltrate a building, they spread very quickly. Bed bugs don’t spread any disease; however, some people can have aggressive reactions to their bites in the form of slightly raised, red, itchy spots or even painful bruises. This is nothing compared to the sleeplessness that bed bugs bring you. It’s very difficult to eliminate bed bugs with the use of pesticides in Toronto and the GTA due to their high resistance to most insecticides. If you discover bed bugs in your home, react as soon as possible. You probably won’t be able to fight these little nightmares on your own, so call a licensed professional. The Indian meal moth is the most common pest of stored products in Toronto and the GTA. They’re 16 to 20 mm long with one third of their wings coloured in pale gray to tan and the other two thirds in reddish brown to copper lustre. They live only one or two weeks and are active mostly during the night. They hide in dark places during the day. Larvae of Indian meal moth usually infest and feed on dry foodstuffs, such as cereals, grains, pasta, rice, bread, dried fruits, powdered milk, biscuits, chocolate or nuts. They can be recognized by web-like leavings on the infested food. 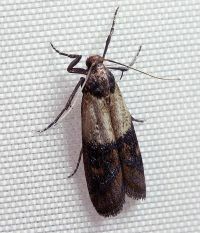 Elimination of this pest requires disposal of all potentially infested food sources as well as insecticide application. The moths can get into surprisingly tight spots such as sealed bags or containers. Therefore, it’s important to empty all kitchen cupboards and use insecticides on all infected areas to kill all remaining eggs and larvae. 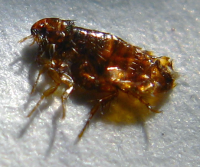 The most common species of cockroach infesting Toronto and the GTA is the German cockroach, which is about half the size of the American cockroach. It can be found in all kinds of human settlements, but mostly in houses, apartments, restaurants, and other institutions. Their size is usually between 13 and 16 mm. German cockroaches are light brown to tan with two dark parallel bands running from behind their head to their wings. These cockroaches can emit an unpleasant odour when excited or frightened. Similarly to other pests, German cockroaches are active during the night and hide in dark cracks during the day. They feed on starch, sugary foods, grease, meat, or in some cases, even on soap, glue, or toothpaste. They prefer to stay near moist and food and are usually found in kitchens and bathrooms. If you encounter a cockroach during the day, it’s very likely that your home is already infested by a huge number of cockroaches. German cockroaches are particularly dangerous due to the possible outbreak of illnesses and allergic reactions in many people. The German Cockroach is very resilient and difficult to get rid of. This is mainly due to the huge intensity and amount at which they spread. There are two effective methods for getting rid of cockroach infestation. The first one is the use of a roach bait product such as Maxforce gel, which should work in most cases. It’s a highly effective stomach poison that should eliminate all targeted cockroaches in four to six weeks. This method is relatively safe. It reduces the risk of spreading the infestation, it doesn’t need any preparation, and you don’t have to vacate your home during the treatment. The second method is to use residential insecticide sprays. This is a much quicker way (it should take only a week); however, you have to several preparations, such as emptying all kitchen cupboards and bathroom vanities, and vacate the premises for a minimum of four hours. The most common species of fleas that infests homes and pets in Toronto and the GTA is the cat flea. It’s about 2.5 mm big with brownish black to black colour and a bit reddish when full of blood. Cat fleas can be usually found on cats; however, their hosts are also dogs and people. You’re in danger even when you don’t have your pets inside since cat fleas are able to jump approximately 15 cm vertically and can be transported on shoes, pants, shirts, and other everyday items. An adult female lays about 500 eggs during its lifetime and adult fleas can survive for about one year. Fleas are typical carriers of parasites like tapeworm, which is very common in both cats and dogs. Moreover, human reaction to their bites are small, red itchy spots that can get really annoying. Flea treatment is a slow-paced process that consists of three stages. Firstly, you should take your pet to a veterinarian for flea medication and make sure that they don’t enter the infested area again. Secondly, thoroughly vacuum all carpets, discard the vacuum bag, and clean the vacuum. Finally, apply a pesticide to kill all remaining fleas. 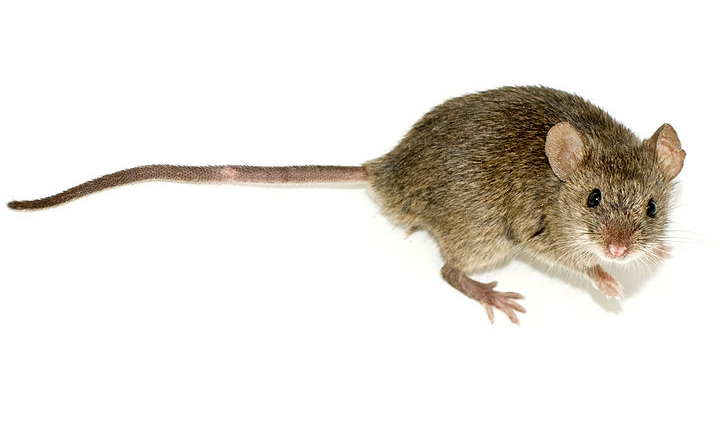 House mice are very successful because of their small size, adaptability, and low food requirements. They are able to survive almost everywhere. Mice nest in walls, attics, closets, or storage boxes. It’s estimated that each year, mice destroy enough food to feed 100 million people. There’s an abundance of various mouse traps and baits available on the market. However, mice are intelligent enough to avoid these traps and baits. Therefore, it might be useful to consult an expert before the mouse infestation gets serious. 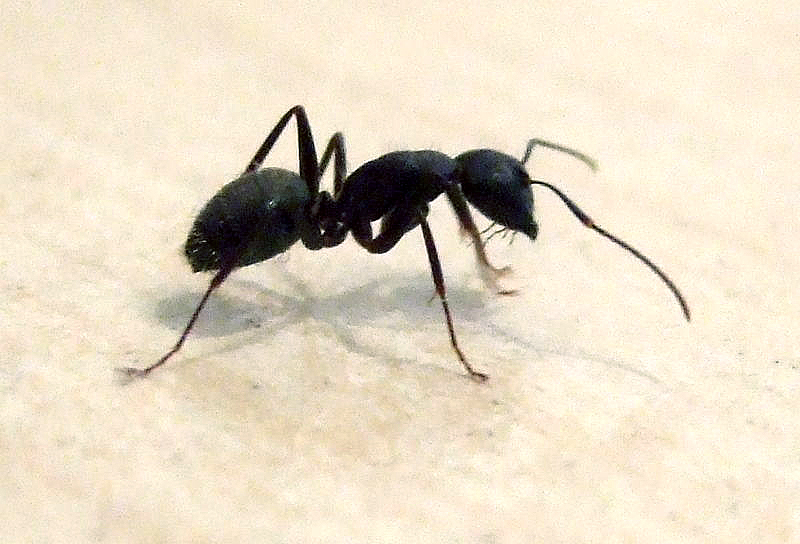 Carpenter ants are approximately 6 to 13 mm big, black ants that are native to the Toronto area. 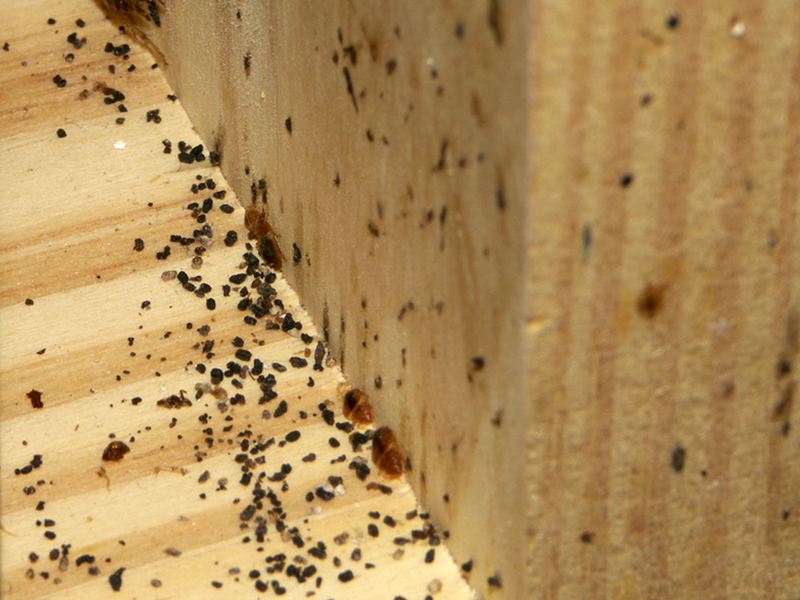 This is a very harmful wood-infesting pest, much more common to the GTA than termites. They usually create their nests in water-damaged or decayed wood and spread their colonies into surrounding sound wood. This nesting very often results in structural damage. They are slower than termites but can cause substantial damage after several years. The most important thing you have to consider when getting rid of carpenter ants is to locate all their nests. Then you should use residual insecticides and void injections of insecticides to eliminate them. However, if you forget to apply insecticides on one nest, you’ll face the same problem after a certain period of time. Since you’ll have to vacate the residence for a minimum of six hours during the treatment, it is recommended to consult a professional exterminator. i just want to know the effective pesticide for termite and bukbok. Yeah I find that bedbugs are the most common issue in Toronto now. It’s gotten so bad that you find them in books now! I found some in my last library book! 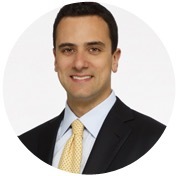 Pests not only holds diseases with them but they will harm your property also. The rate of population of them will be increased if you ignore them. So you should have to take care of them by taking help of professional pest control Services. Agree with Paul. I hate bed bugs. When we shifted to our new house we took pest control service so now no one pest is in my house only few mosquitoes you will get to see. 😛 It is essential to take pest control service if you find any of the pest in the house. pests are big problem all where. we Meena Jewel in Dubai also got this problem in our office. and it was terrible when having 22 21 24 carat Gold, silver and Diamonds there with this standard then we used pest control spray and got rid of it. now cheers all along !